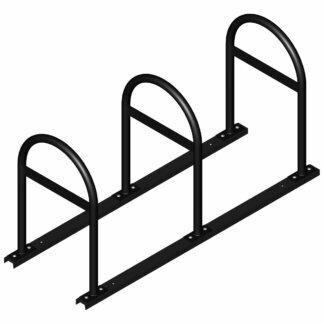 Help keep cyclists safe with highly reflective, rebounding tubular markers. 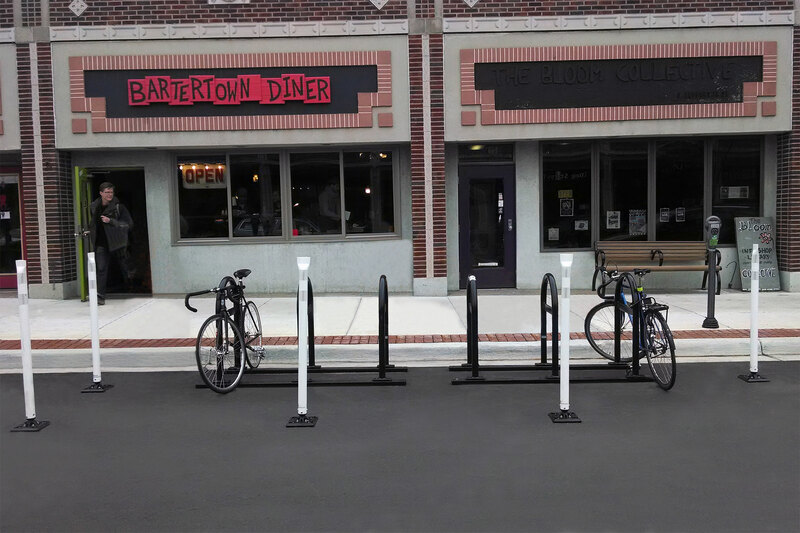 These multi-purpose bollards are the perfect companion to any bike parking installation. Each post has an anti-twist reactive spring assembly that causes the post to rebound to its upright position when struck. Each post comes with two bands of flexible 3M™ High Intensity reflective sheeting to provide 360° of reflectivity. The post is constructed of flexible plastic that is resistant to ultraviolet light, ozone, and hydrocarbons. Its ability to rebound from any direction provides lower maintenance and replacement costs, and provides cyclist-friendly protection. Post meets MUTCD specifications and has been NTPEP Tested. Interchanging Base: Posts are compatible with the fixed base, quick-release base, or portable base. The fixed base is a surface-mount base designed for permanent applications that secure the upright with bolts or adhesives. The quick-release fixed base is a surface-mount base with a unique quick-release feature designed for permanent or long-term applications. The base’s quick-release feature provides the ability to change out or remove products in less than five seconds without the use of tools or special equipment.